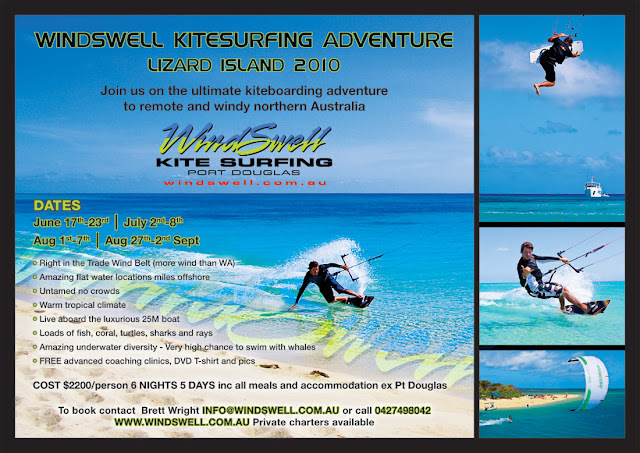 If you are interesting in a kitesurfing trip to Lizard Island from August 1 - 7 this year, contact Bretto from Windswell on 0427 498 042. There is a vacancy for this trip due to a cancellation. I won't be there as I will be kitesurfing in Bali at this time. Next year I hope to visit Lizard Island.